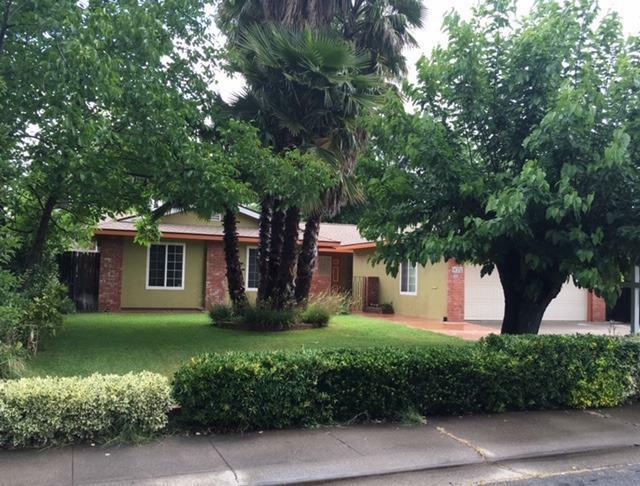 NEW PAINT, Motivated Sellers.This adorable home, situated close to the American River and community parks with access to the American River is ideal for the nature lover. Enter through the front court yard and enjoy the unique flooring & open living space. 3bedrooms + possible 4th or office space, 2 full baths. Dual pane windows. In the back yard oranges are ready to be harvested now with apples and grapes coming in the fall. RV access to store recreational equipment for adventures on the American River. View 360 virtual tour!